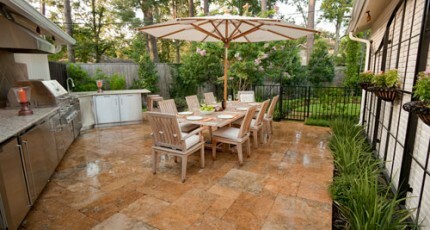 A luxury landscaping includes everything people typically associate with an upscale home. Both organic and inorganic elements work together to create a sense of refinement, and functionality is designed with maximum creature comforts in mind. Home entertainment and private events also play a major role in luxury landscaping, because most clients who invest the large sums of money required for this high-end service are looking to share the experience of their homes with honored guests and close family members that they invite to their estate for special events, removed from the busy crowds and jostle of the nightlife abroad. Virtually every luxury landscape has a custom swimming pool that has been specifically designed to support multiple aesthetic elements and scaled proportionally to its surroundings. The shape and size of the pool should complement the geometry and symmetry of custom home architecture, and it should also aesthetically blend with surrounding outdoor structures and work in harmony with any organic elements that surround it. Water fountains are iconic symbols of luxury and wealth. 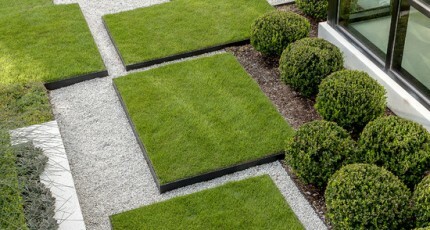 They add dimension to the landscape and create a sense of décor, regardless of how large or small they are. Larger estates typically have multiple water fountains built throughout the property. There can be one a larger, central fountain that acts as the focal point for a main gathering or seated area. Smaller fountains can be built to add dimension and form to custom gardens. Still other, more private areas, may have a small water fountains built only for the enjoyment the homeowner or a few very close friends. Such smaller, custom fountains are often used as centerpieces for private sitting areas and morning gardens where homeowners can quietly read the paper in the morning, and enjoy the sunlight streaming through the trees in the late evening when the sun goes down. A large percentage of luxury landscapes tend to rely upon traditional European gardens for the organic symmetry and balance essential to creating a superior outdoor living experience. 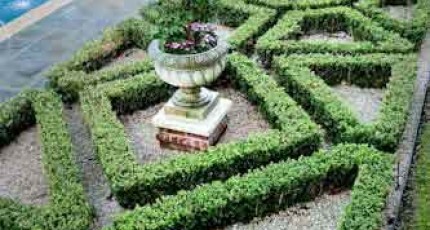 The parterre garden is one such form, and it works much better on a large property than it does on a smaller lot. In France, parterre gardens were originally intended for human traffic, being design around intersecting gravel pathways that allowed people to stroll through middle of the garden as they viewed it. This design is not always easy to replicate in the average Houston yard due to the size restrictions that smaller properties present to us. However, on larger properties in River Oaks and Tanglewood, for instance, there is often sufficient acreage for us to build a traditional parterre garden that provides both an aesthetic and a special area where guests can walk and congregate. 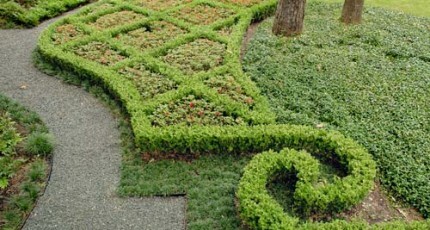 Parterre gardens are a specifically French form, however, and may not work with every type of home architecture. Custom home design today can be very eclectic, so not every property we call upon can be enhanced by a specific cultural form. Some large homes feature a blend of European styles and require luxury landscaping plans that support their overall aesthetic without relying too much on any specific European region or time period in history. These estates will always benefit from a simple, yet carefully planted and maintained rose garden. This is because roses, like fountains, have become symbolic of luxury and wealth in both canonical and popular culture. 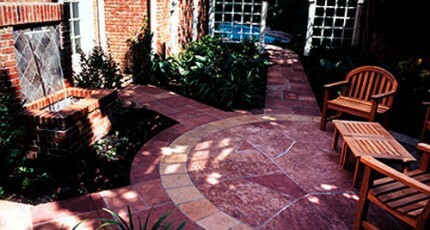 Virtually any style of home or landscape will greatly benefit from the contribution they make to the landscape. As essential as high-end aesthetics is to any luxury landscape, it is equally important that we always keep in mind that larger properties are developed for the express purpose of entertaining large groups special guests, family, and friends. 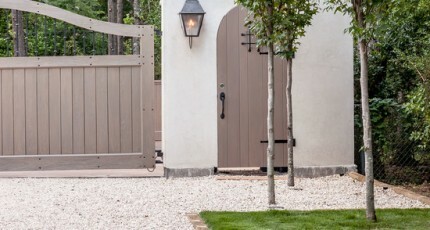 Not only do landscape architects have to labor very hard to create impeccable forms and outdoor structures to please the sensibilities of these guests, but they must also make these forms and structures safe, easily accessible, and comfortable for the many people who will be attending functions that hosted at the estate. Custom paving and special hardscape design must be utilized to build such structures as motorcourt parking areas, pathways and walkways, and patio seating areas. These hardscapes require a skillful blend of special design and superior grade materials so as to compliment the surrounding terrain and the architecture of the house. The size of each structure must also be calculated on the anticipated number of guests attending specific types of events. One may not immediately think of landscape lighting as being one of the key components to luxury landscaping, but when we consider that almost every event hosted on a large estate occurs at night, it becomes readily apparent just how crucial landscape lighting is. Professional outdoor lighting provides visibility in gathering and transit areas, and it magnifies aesthetic by adding special decorative effects to specific forms and elements of interests. Patio lighting, pathway lights, custom pool lights, special garden lighting, fountain lighting, and concealed tree lighting are just a few examples of landscape lighting techniques that make a property safe and comfortable to move through so people may enjoy its many finer nuances at any hour of the night. Due to the highly individualized and personal nature of custom home architecture, it is impossible to apply any type of “formula” to luxury landscaping. 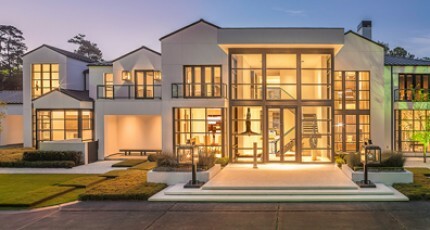 Every property has to be treated as its own unique world and developed with the intention of creating an outdoor living experience that is uniquely expressive of the architecture of the house and the lifestyle of the owner. In-depth consultation with the client is absolutely necessary in order to gather all the facts required for such a design, and the materials used to build landscaping elements have to represent the highest grade and quality of manufacture in order to ensure the impeccable results that people expect from an investment of this magnitude.